Looking to buy Juârez Acoustics Mini Beast JAB200 Bluetooth v4.1 Wireless Portable IPX7 Waterproof Stereo Outdoor Speakers? Amazon is selling Juârez Acoustics Mini Beast JAB200 Bluetooth v4.1 Wireless Portable IPX7 Waterproof Stereo Outdoor Speakers at Rs 549. So, hurry up!! How to Buy Juârez Acoustics Mini Beast JAB200 Bluetooth v4.1 Wireless Portable IPX7 Waterproof Stereo Outdoor Speakers at Rs 549? 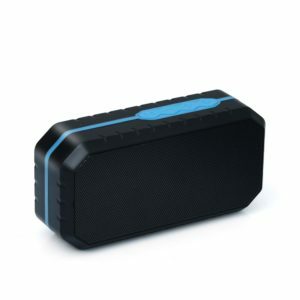 Compact design Waterproof Bluetooth Wireless Speaker, Small size, big and crisp sound. Low frequency subwoofer delivers great High Bass.